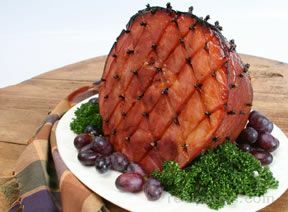 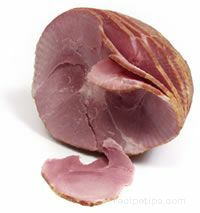 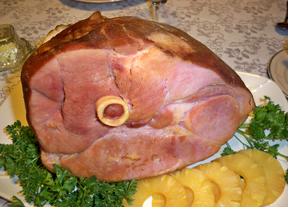 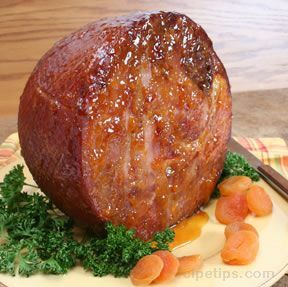 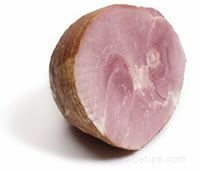 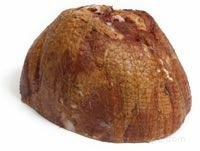 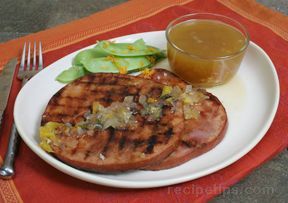 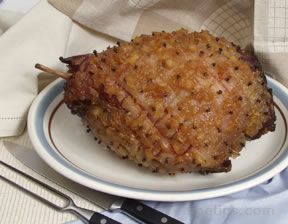 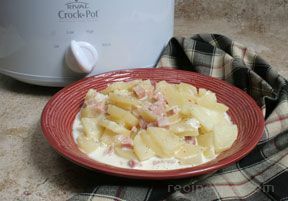 A precooked ham that has been pre-sliced by spiral cutting in order to make it convenient for serving the ham slices. 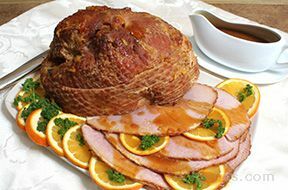 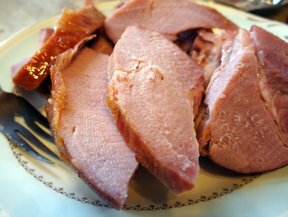 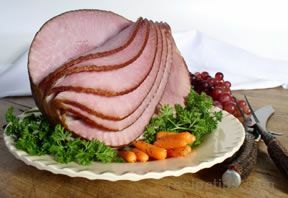 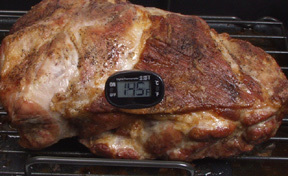 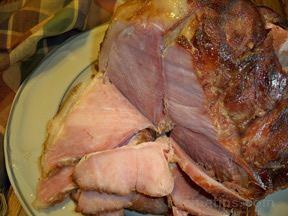 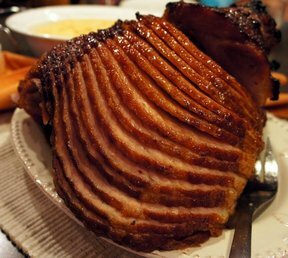 Pre-slicing in this manner allows the ham to be cut into sections, if so desired, with each section being sliced and ready to serve. 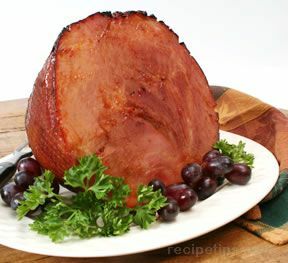 Spiral cutting is a process that is accomplished by making one continuous cut around the ham, starting at one end and moving consistently around the ham to the opposite end, creating slices that have the same thickness throughout.